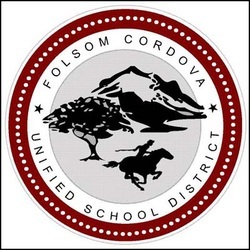 The department of Health Programs is committed to promoting optimal lifelong health, wellness and learning for the students, families, employees and communities of the Folsom Cordova Unified School District. The Rancho Cordova Children, Youth, and Families Collaborative is a group in the city of Rancho Cordova, a community of eastern Sacramento County. The collaborative believes "all children should grow up in a family and community that provides for their health and well being. We are committed to strengthening families and linking them to community resources that enhance self-reliance and promote community involvement." 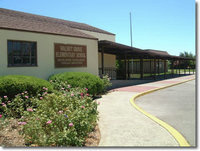 River Delta Healthy Start serves the Courtland and Walnut Grove communities of rural south Sacramento county and offers support to rural and migrant farm worker families in the Sacramento River Delta area. Located in Oak Park, River Oak Family Resource Center provides FREE parenting education, resources, child development information, and family-centered activities to the families of children 0-5 in Oak Park and surrounding communities. Families participate in voluntary services like home visitation, parenting classes, stress-reduction activities, exercise groups, arts and crafts, and other fun activities. The FRC also provides school readiness staff and activities and has dedicated staff to assist families in times of crises with resource referrals and follow-up services. WHY Sacramento's goal is to improve the health and well-being of all youth (0-30) with a focus on those who are homeless, near homeless, system based, "aging out", gang involved, runaway, LGBTQ through collaborative, coordinated case management. WHY Sac provides youth a connection to a newtwork of youth serving agencies creating a seamless safety net for ALL vulnerable youth no matter which agency was their first point of contact. Learn more about the projects our residents have done with our Community Partners, here.